The Dragonvine Ballista Trap is a Draconic type weapon. 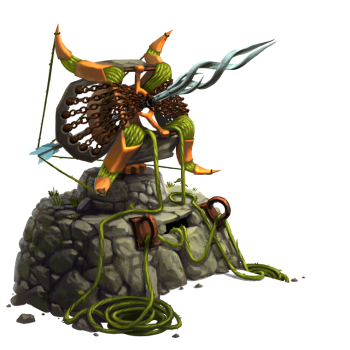 The ballista fires a heavy bolt which separates midair, opening to reveal a large and heavy chain net. This is specifically designed to capture incredibly strong airborne mice and reel them back in using tough, elemental-resistant dragonvines attached to a reinforced internal winch.